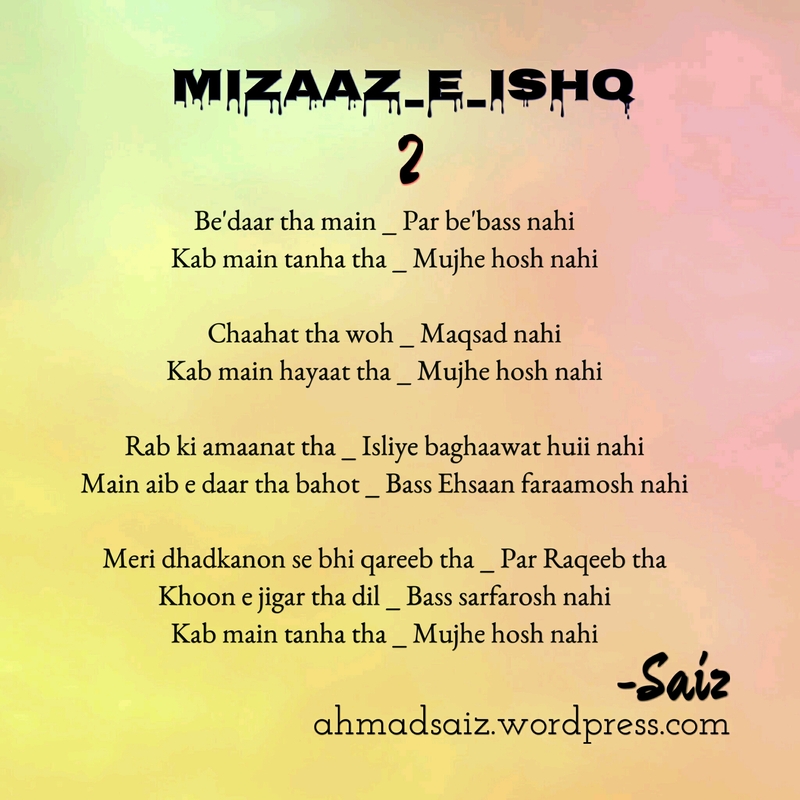 Mizaaj e Ishq: #2 ~Be’daar tha main…~ – I'm Here; Right Here. Yeah! This time the English part is good to my essence. Hope you people like it the way I do. Whoa! Aren’t you on a roll here? I’m stuck thinking of when I’ll have some ilhaam so I can write something and you’re just popping them out with such ferocious beauty! I’m sort of jealous now 😛 joking. Good work. I hope you keep writing. You shall be having it soon. I pray that. Okay! Aameen. Let’s hope you don’t die that way. It is torturous for a writer! The English version almost matches the Urdu version’s beauty. You are a talented poet. Made me fell shy a bit..
Well if you’re trying to be modest, it was a failed attempt tbh. Achi khaasi hai ye. That made my day. So much of appreciation.